After 12 days, 63 matchups and more than 3,000 votes, we have a winner in the PRWeek 2019 "One Shining Slogan" Bracket. "Got milk? ", the phrase created by the agency Goodby Silverstein & Partners in 1993 originally for the California Milk Processor Board, beat out "Just do it" in the final to claim the title. 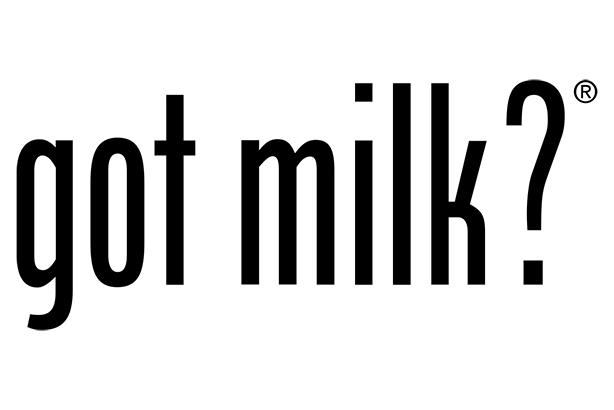 The slogan was later licensed to the Milk Processor Education Program (MilkPEP), with whom Weber Shandwick worked on the campaign for years after. 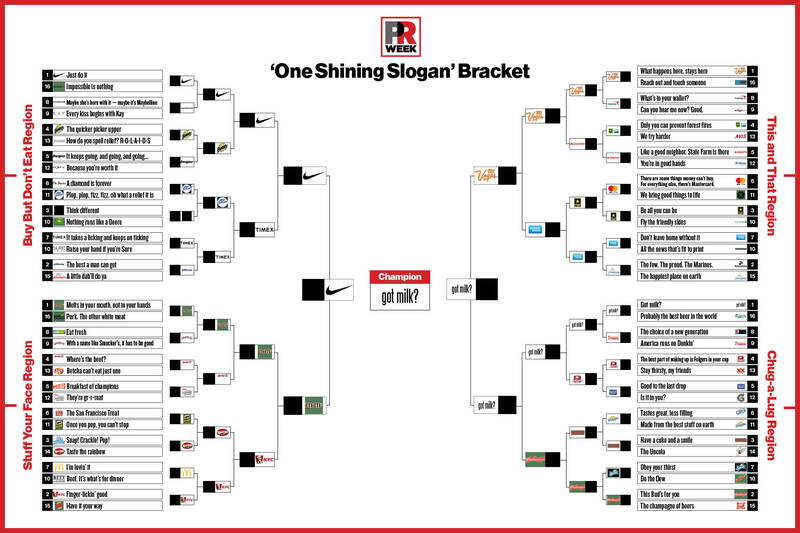 For much of the day Monday — the last day of voting — it looked like Nike's iconic slogan would capture the crown, but a late-night surge by the eventual winner propelled it to a 51-44 triumph in the championship. In its march to the final, "Got milk?" knocked off the slogans "Probably the best beer in the world" (Carlsberg), "The best part of waking up is Folgers in your cup", "This Bud's for you" and "What happens here, stays here" (Las Vegas). Watch the ad that started it all — the Michael Bay-directed "Who shot Alexander Hamilton?" spot that first aired in 1993. Poll: Should Bezos take the bait and respond to Trump?